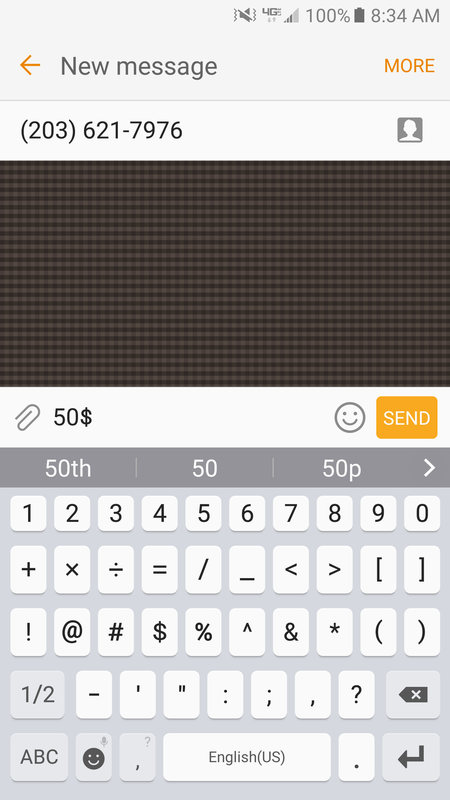 ​Simply text the amount you would like to give followed by the "$" sign to 203.621.7976. 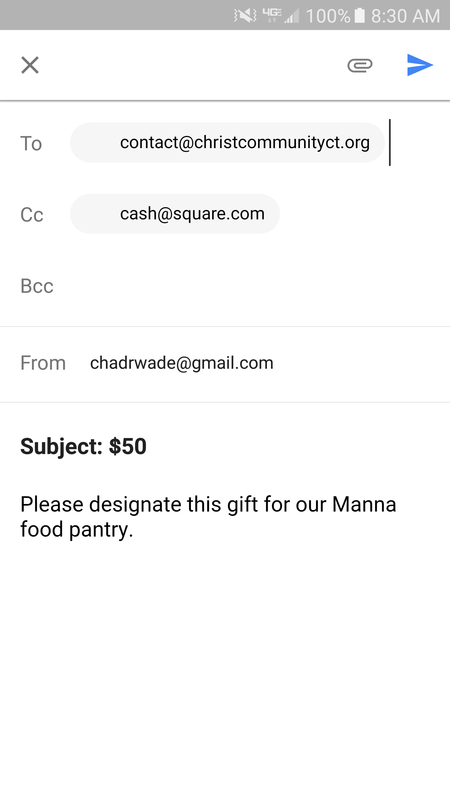 Send an email to contact@christcommunityct.org, CC it to cash@square.com, write the amount in the subject, and any designation in the body of the email. You'll get an automated email where you can enter your credit card info. You'll only have to do this once. ​We'll get an automated email to complete the transaction.